Leonard Valentinovich Blavatnik is a well-known investor, businessman, and philanthropist, who gained his wealth through investments in different companies, through his conglomerate company, Access Industries. Blavatnik was educated at Harvard and Columbia and earned his first million by investing in Russian oil. 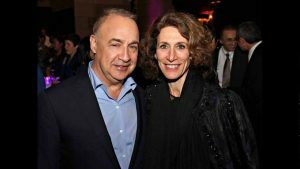 Blavatnik has always been private, and therefore there is very little information about his parents. It is known that Blavatnik’s parents immigrated to the US in 1978 and they were very poor. Blavatnik has a brother named Alexander Blavatnik. He has been working as the director of Warner Music Group Corporation since 2011, and he is also the Executive Vice President and Vice Chairman of Access Industries, as well as the director of WMG Acquisition Corp.
Len Blavatnik married Emily Appelson, an American citizen and has two sons and two daughters. Blavatnik keeps his family’s life private and goes to any length to protect his family from reporters and the public. The only personal information that was received was that in 2013 Bruno Mars performed at his teenage daughter’s birthday because she was a fan of the singer. In 2014 Len Blavatnik was worth US $21.6 Billion and was ranked the Fourth Richest Man in the United Kingdom by the Sunday Times Rich List. Forbes ranks Blavatnik as the world’s 39th richest person. At present Blavatnik resides with his family in London and concentrates on giving back by getting involved in many charitable concerns around the world. If you have settled a debt for less than the actual amount owed, include a 1099c form when you file your taxes. How Much Money Do You Need to Make to Live in Abu Dhabi?